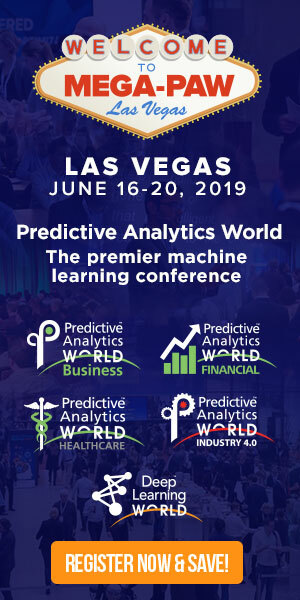 Dean Silverman keynoted at Predictive Analytics World for government, September 15-18, to see more on the conference click here. Dean Silverman, head of the Internal Revenue Service’s Office of Compliance Analytics, leads the charge to transform taxpayer data into actionable intelligence about fraud, underpayment by filers, overpayment of refunds by the Treasury and identity theft, by using analytical models. Part of the trick, he said in a discussion at the Predictive Analytics World conference in Washington, D.C., is building a culture of data-driven decision making with buy-in at the highest levels of the organization. But success is also dependent on staying on top of how fraud is perpetrated, and on opportunities in the tax code that could lead to new wrinkles on old scams. “We have a bunch of people who think like criminals,” Silverman said. The coming tax season is the first in which filers will have to account for premium support paid to health insurance carriers under the 2010 health care law. Taxpayers will need to reconcile their self-reported income projections with the actual dollars and cents that appear on their tax documents, and some will have to pay the IRS the difference between what was paid on their behalf and the amount of support they qualify for under the law. The new tax forms are expected to be complex, and it will be up to Silverman’s team to devise ways to separate error, misdemeanor and outright fraud. “We’ve had teams working to answer these questions and make sure that filing season goes as smoothly as possible. We’ve rooted out any obvious fraud. I can simply say we’re going to see what happens. I think we’re prepared,” Silverman said. Silverman’s boss, IRS Commissioner John Koskinen, recently complained to Congress that a budget request of $300 million to support IT upgrades related to the health care law’s implementation was denied, and said that money to implement the program has been drawn from other activities. A recent IRS pilot to stop improper earned income tax credit payments could provide some insight into strategies for combating health law fraud. The Government Accountability Office and the Treasury Inspector General for Tax Administration have been critical of longstanding problems in the legacy program. The new strategy, Silverman explained, was “instead of retail, let’s go wholesale,” and target paid tax preparers, who submit about 70 percent of returns with EITC claims. The IRS recovered $1.5 billion just over the course of the pilot, developing models to go after preparers who appear to be non-compliant and testing those models over three years. The detection-and-enforcement approach is set to be expanded for the coming tax season. Adam Mazmanian is a staff writer covering Congress, the FCC and other key agencies. Connect with him on Twitter: @thisismaz.